It takes a real woman to accept her part in any situation. Proud of you niece!!!! Love ya for always keepin’ it REAL!!!! 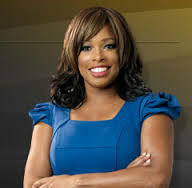 Pam Oliver, you ROCK!!!!! Proud of you daughter! I’m sure Ms.Oliver would be too! Thank you, Pam Oliver, for being a trail blazer and an inspiration to many. You will be missed!